1 YRS Xiangtan Saint Outdoor Sports Co., Ltd. 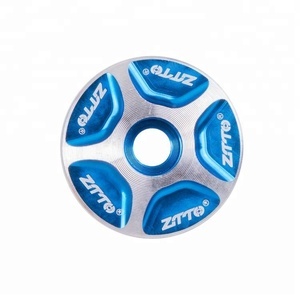 Bicycle Head Parts Semi Intergrated Threadless Bike Headsets for MTB road bike : Size: 1-1/8'' Material: Aluminium Diameter: 28.6mm x 44mm x 30mm S. Height: 7.5 + 3 =10.5 +1 mm Bearings: Sealed cartridge Weight: 75g + 25g Packing: We supply all kinds of headsets, please inform your demand,, and contact us for any inquiry. We will reply as early as possible. 5 YRS Shenzhen Gineyea Transport Equipment Industry Co., Ltd.
1 YRS Suzhou Meghna Imp And Exp Co., Ltd.
1 YRS Taicang Wenjun Auto Industry Co., Ltd.
Titanium Alloy 6AL4V(Gr5) Threadless External Headset 1-1/8" 28.6mm 34mm Bicycle Parts Bore diamater :1-1/8" Outside diameter :28.6mm Communications For more details about our products, pls feel free to contact us, we will send Titanium outdoor catalog for your reference. 5 YRS Baoji Ouyuan New-Metal Tech Co., Ltd.
2 YRS Ningbo Yong Teng Vehicle Parts Co., Ltd.
Packaging Inner plastic bag, outer carton box, and we can also pack products according to your requirements. Please tell us the quantity and model number of the products you are about to order, so that we will give you a detailed schedule. we have a showroom in Dongguan of China If you want to order our products and visit our factory,please contct us to make an appointment. 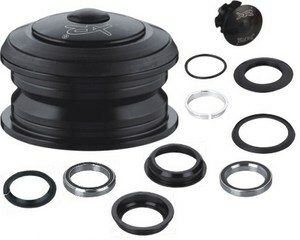 Mountain Bike Road Bike Headsets Threadless External Headsets Sealed Cartridge Bearings 34MM 1 1/8"
Any question regarding bicycle headsets or bicycle parts, we will give you the most professional response. . 1. 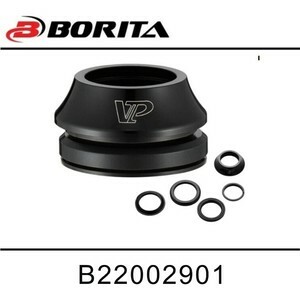 Are you a factory or a trading company9 We are a professional bicycle parts manufacturer especially in bicycle headsets, bottom brackets, bicycle tools, etc. 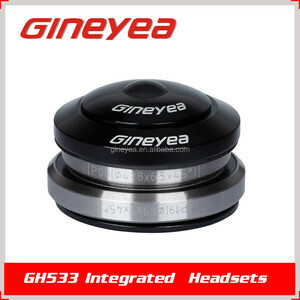 GINEYEA 'S products mainly include bicycle headset, bottom bracket, pedals, quick release seat clamp, customized parts and bicycle tools . 2.Quick Leadtime:We are dedlicate to providing the quickest turn around times and work very hard to ensure that all of your deadlines are met. please be aware that our production leadtimes depend on specific items and items quantites. our success has been based on our understanding of the demands and nature of promotional and marketing deadlines. 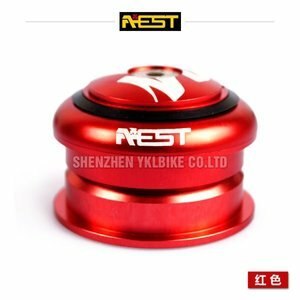 Alibaba.com offers 408 threadless headset products. About 77% of these are other bicycle parts. A wide variety of threadless headset options are available to you, such as free samples, paid samples. There are 408 threadless headset suppliers, mainly located in Asia. 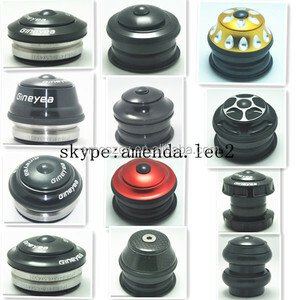 The top supplying country is China (Mainland), which supply 100% of threadless headset respectively. Threadless headset products are most popular in North America, Domestic Market, and Southeast Asia. You can ensure product safety by selecting from certified suppliers, including 62 with ISO9001, 2 with GSV, and 2 with Other certification.